You can use QuickLook from inside ‘Open File’ dialogue boxes in any application! 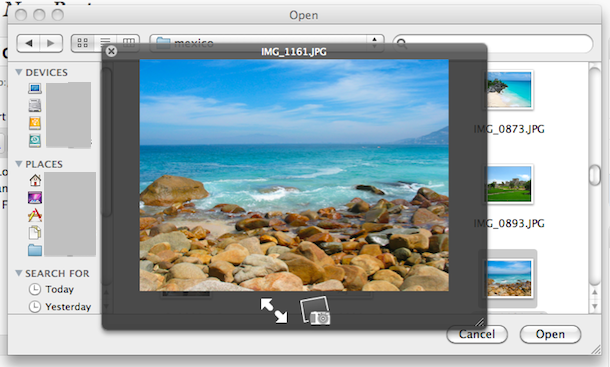 Try it out yourself, go to File -> Open File and hit the Spacebar (or whatever hot-key you assigned QuickLook) on an image or text file, and like magic QuickLook opens the file in preview mode so that you can be sure you are opening the correct file! As far as I know this is new to Snow Leopard, but what a cool feature!